A beautiful modification of the popular virus shawl. A pattern can be easily modified to make bigger shawl or even wrap. Combination of virus pattern and granny stitch gives you a lot of possibilities of own creation and allows you to make unique projects. But first, look at this beautiful project of Virus Meet Granny Shawl. Link to a free pattern and video tutorial for this pattern is below. More info about projects: here and here. 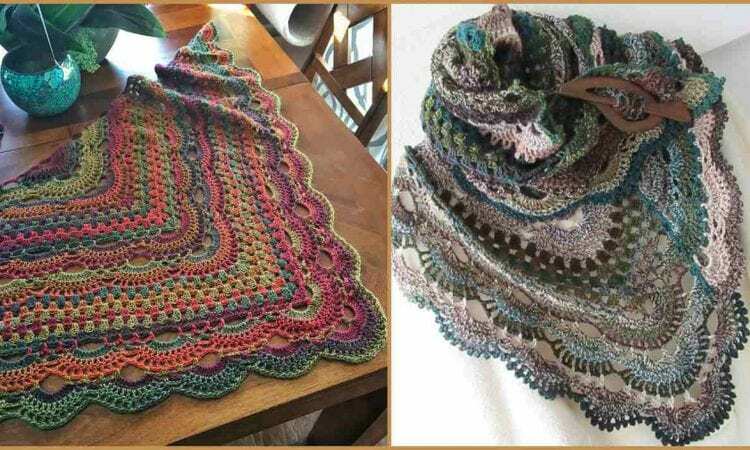 Thank you for sharing your beautiful shawl pattern. In the virus meets granny square shawl. The illustration in the pattern does not match the instructions. In row 4 it says 2 ch7 and illustration shows 1 of 10 . Which one should I follow. Please follow a pattern. Photos are only examples of realization of this pattern.